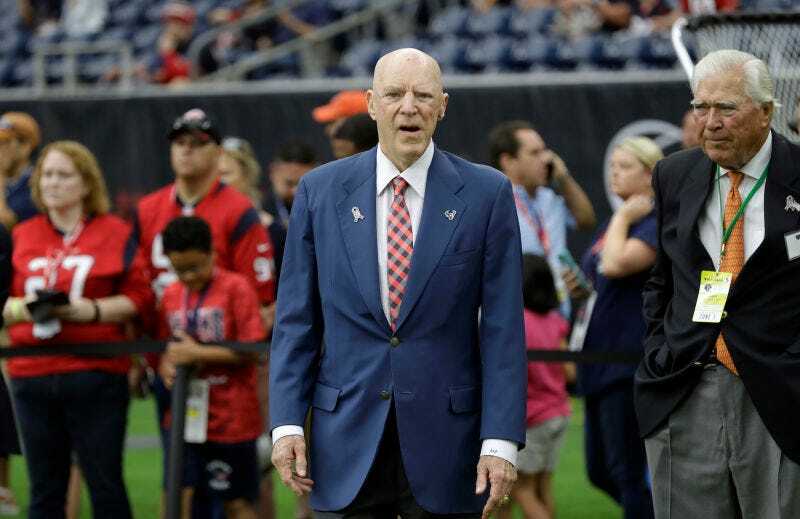 Texans owner Bob McNair had a tense standoff with his players last season after he remarked, “We can’t have the inmates running the prison,” during an October owner-player meeting about the national anthem demonstrations. Star receiver DeAndre Hopkins skipped practice in protest; a number of Texans wanted to walk out; practically every player took a knee that following Sunday. Feeling a little bolder after free agency, McNair now says he regrets...his apology. Ever since the comments first became public, McNair has maintained that he was not referring to the players as “inmates,” but rather league executives. That always felt like a dubious excuse cooked up after the fact, but either way this process of apologizing, equivocating, and then retracting the apology has not been handled smoothly. If McNair really believes that the NFL should avoid politics, maybe he should think a little bit harder about who introduced politics into the game in the first place. These Teams Earned The Most From The Military&apos;s "Paid Patriotism"